The short answer to this question is simply this – whenever you think you need to. You’ve planted trees on your property with the goal of enhancing your living environment and increasing your property values. Trees that are attractive and properly cared for can lead to great returns if and when you’re ready to sell, and trees that aren’t properly maintained can be a serious liability. If you have large trees that are unhealthy, you may have to have them removed if they can’t be successfully treated, and that can be an expensive proposition. It’s something that should under no circumstances be a attempted by someone who isn’t properly trained to handle large trees. Arborists can provide a number of services that will help you to maintain the health of your trees and preserve your property values. Pruning means a lot more than just taking a saw or a pair of shears and hacking off growth here and there. Proper pruning encourages healthy growth, and also reduces the chance of disease or insect infestation. An arborist can also effectively remove limbs that are obstructing structures or utilities, or that have been storm damaged. They can also prune in such a way as to foster young tree growth. This is, of course, a last resort, but if a tree is dead or dying, causing obstructions, crowding out other trees, or should be replaced by a more desirable tree, then an arborist can arrange for the most effective means of removal. Sometimes trees can be damaged by storms, and may fall on structures or other trees. 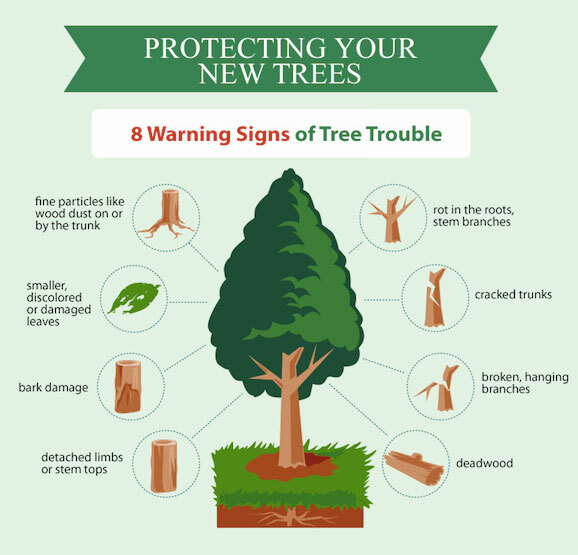 These trees can be hard to remove, but an arborist can help get the job done safely while reducing the risk of damage to property or other trees. An arborist can recommend the best trees to plant if you’re in doubt. Planting the wrong tree in the wrong location can result in poor growth, diseases, and insect infestation. Arborists also offer many other services, including preventative maintenance, soil modification and fertilization, and bracing or cabling to offer support to branches that are weakly attached. They’re also knowledgeable in soil aeration, disease management, and even the legalities involving trees that might affect the property rights of adjacent homeowners. When selecting an arborist, make sure that he or she has professional affiliations and accreditation. Ask for proof of insurance, and contact his or her insurance company to make sure that they’re paid up and in good standing. So, if you need an arborist, or think you might need one, follow these guidelines and call Growing Earth, (703) 818 – 8228. You’ll be assured of getting the service you need.